Home / Sri Lanka News / Are immigrant Tamil people living in a picnic? LTTE member angrily! Are immigrant Tamil people living in a picnic? LTTE member angrily! Top Stories: We have no connection with the assassination of former Prime Minister of India Rajiv Gandhi, and it is not acceptable that a series of allegations have been made in the face of repeated allegations that our organization was involved in the killing. So, if we are involved, can we have any evidence of that? In the last few days, a statement was released in the name of the Liberation Tigers of Tamil Eelam (LTTE). 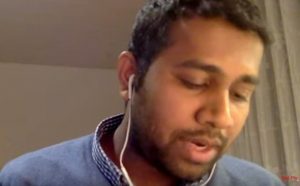 Kuruparan Gurusamy, who is one of the publishers of the report and mentioned in the report of the LTTE's Political Department, interviewed a Tamil media. In this context, the armed struggle in Sri Lanka was silenced and in a situation where Tamils ​​wanted autonomy in Sri Lanka, Why do people like you try to declare that the LTTE is alive? Are you using Tiger name for your luxury life? The question was asked. Kuruparan replied, "Struggle on our way to our moral right Tamil Eelam is the political path. At every stage we imposed a weapon of instruction, the Sinhala chauvinist state. Why is it so troubling you that the countries that have seen the fun when the Sri Lankan government has done a great deal of ethnic cleansing in the terrorist seal and killing the tigers and declaring that we are continuing to fight peacefully? " And, "We came to the countryside to live a luxury life away from our country. What is the message that the Tamils ​​today are terrorists? Our homeland dreams, like the Jewish people, are living in foreign countries as refugees, and we do not miss our homework dreams. "